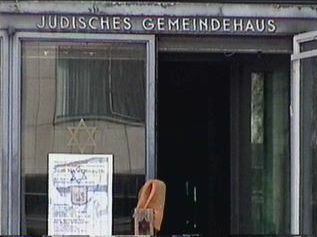 The Great Synagogue was destroyed on Kristallnacht 1938. 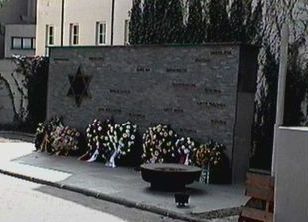 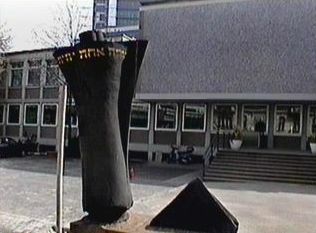 The Jewish Center was built on its site in 1959. 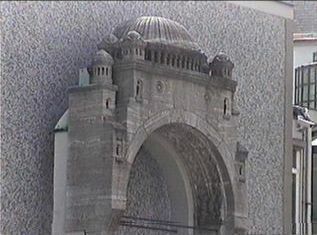 The old portal of the Great Synagogue.